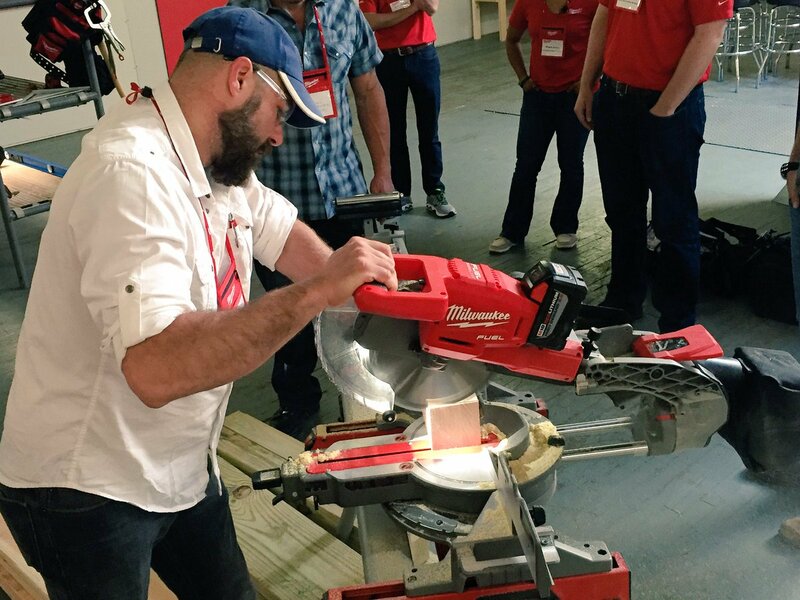 Once again, Milwaukee Tool showcased a huge variety of state-of-the-art equipment at its annual product symposium, held this year June 7-8. 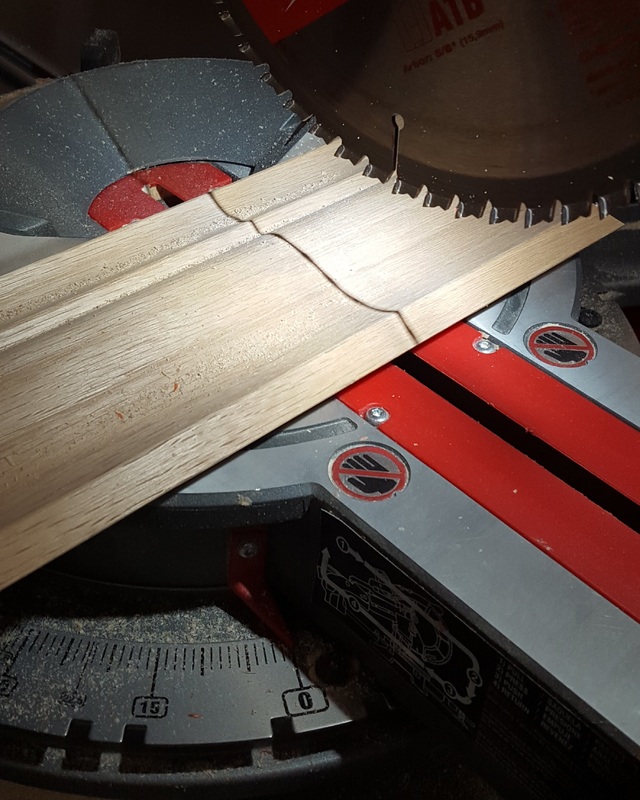 Woodworking Network editors Robert Dalheim and Ethan Abramson were there to test out some of the company's upcoming equipment. 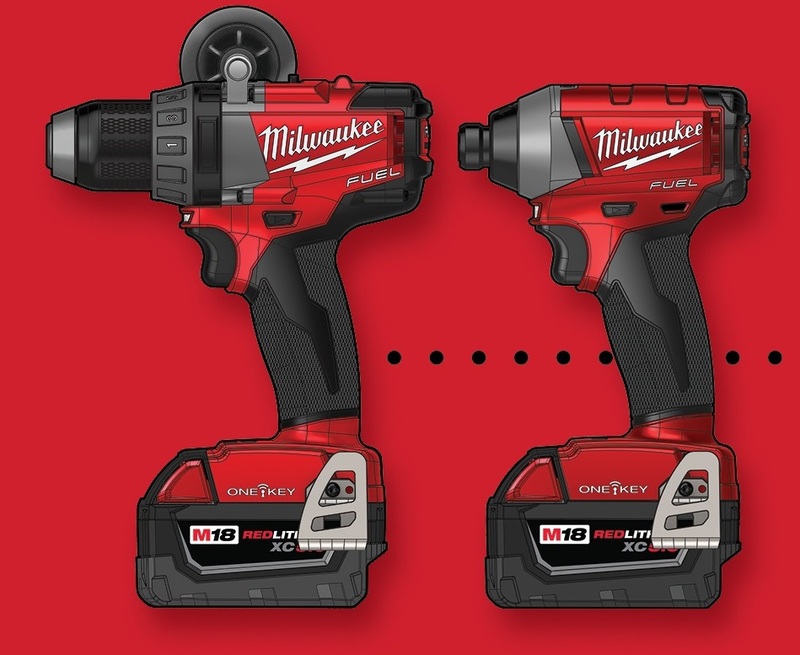 Among the new additions to the company's product lineup was an expansion onto its M18 line of battery-powered tools, including miter saws, nailers, screwguns, and cutout tools. The M18 Fuel battery-powered miter saw is designed with a Powerstate brushless motor, and features a 10" inch blade and a battery pack that allows for 400 cuts and an entire day of work. The saw also features shadow technology, which is used instead of lasers to mark where the cut will be made on the piece of wood. Milwaukee said that lasers can be inaccurate, inconsistent, and sometimes not visible in daylight. The saw offers 6" vertical and 2x12 horizontal capacity, and a paddle bevel angle lock. Milwaukee expanded its lighting portfolio with a new flashlight, tower light, site light, flood light, spot light, and bucket light. The company also introduced a compact site light compatible with its One-Key technology. 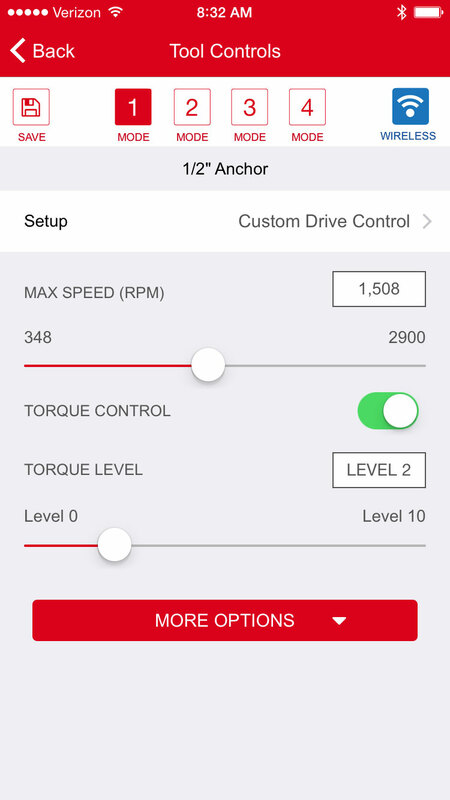 Via Bluetooth, users will be able to adjust brightness, times of operations, and security all from their smart phones. 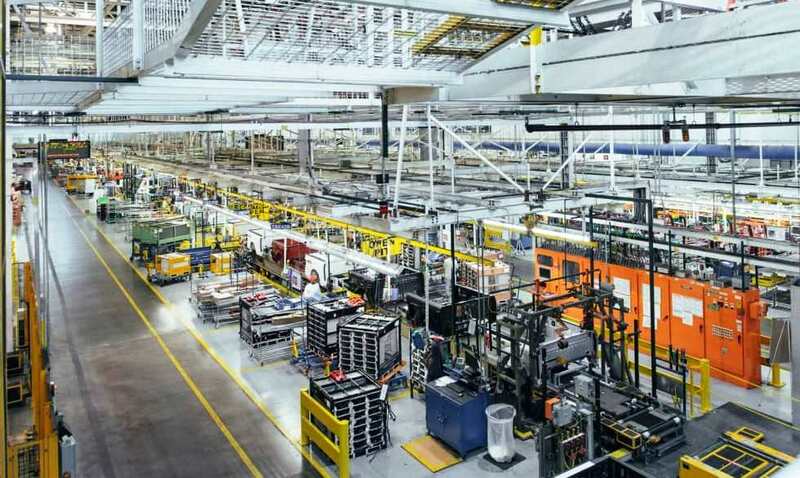 In 2015, Milwaukee launched One-Key, a digital platform for tools and equipment that uses a custom-built cloud-based program to track, monitor, and control equipment. 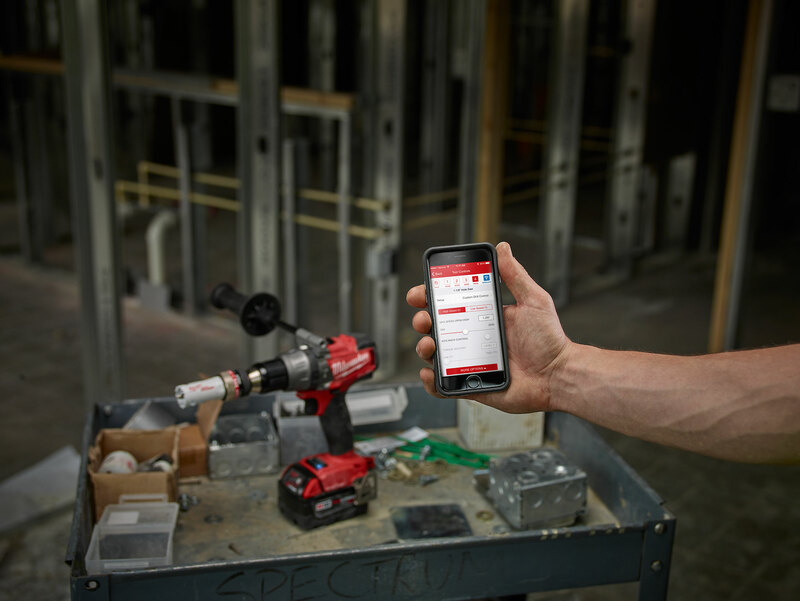 Milwaukee Tool will pioneer the next industry-changing technology with the introduction of ONE-KEY™, the first digital platform for jobsite tools. This year, the company expanded the platform's capabilities to include enhanced tool security, which will allow users to lock and unlock their tools, limit tool access, and completely customize security settings. When the tool is rendered "locked" by the user, it will be useless when stolen, deterring theft. Users will also be able to track missing tools using GPS. Milwaukee also showcased new handtools, accessories, measuring tools, and heated work gear.